After lots of online research I settled on the Nelson Rigg CL-1060-S tail/seat pack. Once I had the bag securely fitted to my ZREX and packed with my compact Helinox chair and lunch, I took it for a spirited 200 mile ride. The bag didn't move around at all and is ideal for day rides. The quality and fit is outstanding and I highly recommend this product to anyone needing to take odds and ends with them. It is expandable although I haven't needed this feature yet. The rain cover is also high quality. Service and shipping time from Dennis Kirk was excellent and they had the cheapest price I could find plus free shipping. Thanks Dennis Kirk! Had an earlier version of this tail pack with zipped expansion on the bottom of the pack, a really useless feature. This one is on top and works fine. This is a nice sized pack for day rides. 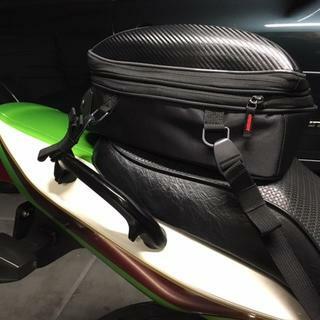 Nice looking useful tail bag. I strapped this to the rear fender of my Honda CRF250L dual sport and it works great for day long trail rides. The Bag came with all the goodies you need to install it, easy on great look and fit. The seat pack was as expected and I would recommend it as a purchase. I’m very pleased with this bag. It looks nice on the bike with clean lines and sharp logo graphic on the back. Easy to adjust straps. It is rigid so it holds its shape. Nice looking materials. The zippers work smoothly. It’s not very big and it’s not waterproof. But it claims to be neither. It is expandable and you could probably do a single night trip with it, but it’s not a touring bag. It’s a really great place to stash gloves, wallet, sunglasses, phone, camera, sunscreen, etc, etc. And in this role it is terrific. Recommended. Great fit for my Yamaha TW 200! Please can you provide specific installation instructions for mounting the CL-1060-s tail bag to the rear seat. Will it mount to luggage rack ? BEST ANSWER: Yes. Depending on the bike, you should have two rails right? 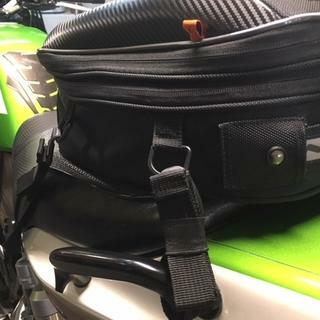 There are 2 straps on each side the bag that loop around almost anything, even connecting to each other, so you should be able to find a way to attach it.